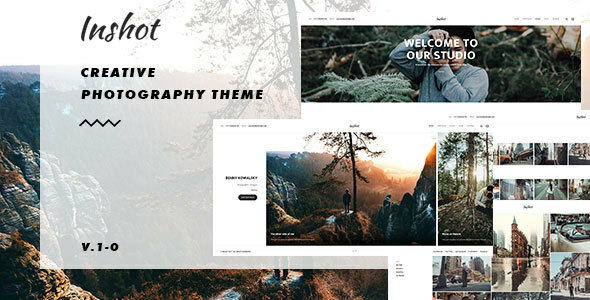 Inshot â€“ Creative Responsive Photography Portfolio WordPress Theme is perfect if you like a clean and modern design. This theme is ideal for designers, photographers and those who need an easy, attractive and effective way to share their work with clients. Original HTML version can be found here: Inshot HTML. Images used in the demo are not included in the archive of the â€“ for the license restrictions. They are replaced by dummy placeholders.